Superman vs. Aliens! 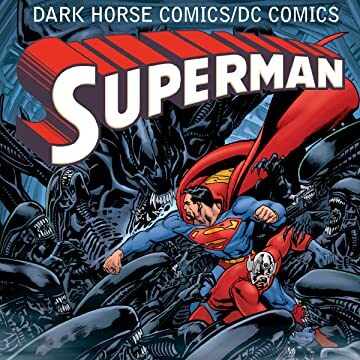 In the first ever collection of the DC/Dark Horse Superman crossover stories, the Man of Steel faces the universe's deadliest foe, but is he truly strong enough to defeat the xenomorph? Follow the Last Son of Krypton through the world of Madman and explore the jungles of East Africa with him alongside Tarzan, son of the jungle. 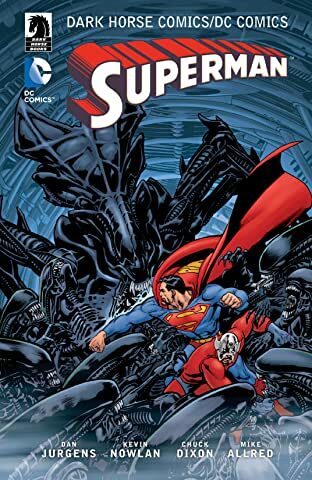 Collects Superman vs. Aliens Volume 1, Superman vs. Aliens Volume 2: God War, Superman/Tarzan: Sons of the Jungle, and The Superman/Madman Hullabaloo. Over 400 pages of material contains four full Superman arcs from Dan Jurgens, Chuck Dixon, and Mike Allred, original covers, and pinup and sketchbook art from the original creative teams. In this 30th-anniversary year of Aliens, fans can rediscover the Man of Steel combating the xenomorph—for the first time since 2002.